On the first floor, unique and fully furnished apartment on the corner of the Keizerstraat with the beach within walking distance in Scheveningen. 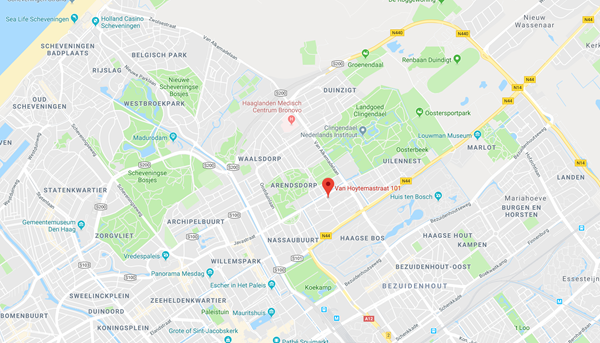 Also the public transport is within walking distance which can easily bring you to the center of The Hague. The property was renovated in 2017 and devided into four apartments. The main entrance is the same for the four apartments where there is a storage space per apartment in the hall. There is a separated toilet, a closet with a connection for the washer and dryer. A spacious and bright living room with a kitchen where all the appliances are present. The bedroom has a double bed, closet space and a private bathroom with walk-in shower. For a price of € 1.250,- is this apartment for rent including G / W / E and TV and internet. Is the apartment perfect for you and you want to visit? Feel free to contact us.